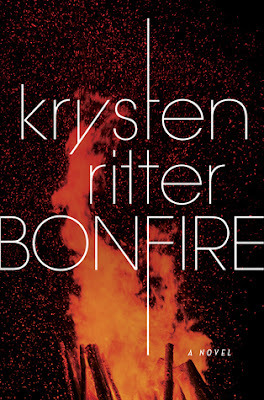 I have to say I was super curious to start Bonfire, not only because the summary for the book sounded really interesting, but also because it was written by actress Krysten Ritter, who seems pretty awesome. So when I was handed the opportunity to read the book, of course I jumped on it! And I’m so very glad I did! Let me start by saying that I went into this book not really knowing what to expect, other than reading the summary. I purposefully stayed away from reviews of the book because I wanted to go into it not knowing much. I’m so glad I did! Meeting Abby Williams was interesting, and going back to her hometown with her, after being away for more than a decade, was also interesting, and, at times, incredibly painful. I can’t imagine being in her shoes, and having to reface the past that she left behind. But, I loved her willingness not to let something go, even when everyone around her was telling her to do just that. She was much stronger a person than she gave herself credit for, and that made me like her even more. The storyline for the book was definitely interesting, and held my curiosity as I turned the pages. I did figure out most of the plot pretty early in the story, and I would say that’s because I’m good at stuff like that, but it’s really just because I’m naturally pretty suspicious of anyone and everything, and I guessed right pretty early on. (I’m totally weird like that.) Regardless, I still really enjoyed the book, and flew through the pages in no time. This book was a really quick read for me! Overall; I really enjoyed reading Bonfire, and I’ll definitely be keeping my eye out for more books by Krysten Ritter in the future! If you love a good mystery, do check out Bonfire for yourself, and I do hope you enjoy it as much as I did!